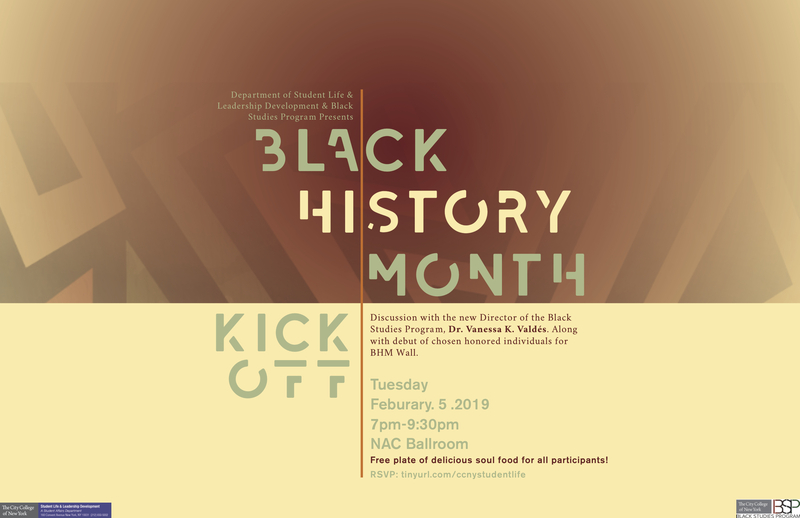 Please join us for a discussion with the new Director of the Black Studies Program, Dr. Vanessa K. Valdés, to kick off Black History Month regarding our voices in media throughout history and in present day. The event will take place on Tuesday, February 5th at 7p.m. in the NAC Ballroom. Learn about upcoming events for Black History Month and witness the debut of the honored individuals chosen by the student committee this year, as well as enjoy a plate of delicious soul food. This event is brought to you by the Student Life Activities Program Committee from the Department of Student Life & Leadership Development and the Black Studies Program. FREE food for all participants.